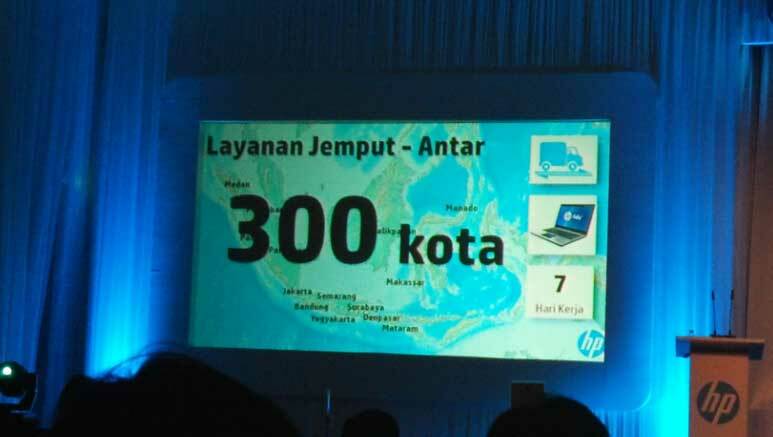 Jakarta, November 27, 2013 - HP Indonesia proudly announced the availability of new HP Mobile Workstation series, The HP ZBook, at Mulia Hotel and Kuningan City, Jakarta. 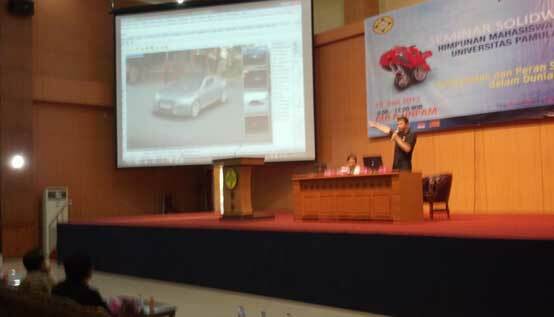 The ZBook 14, ZBook 15 and ZBook 17 was presented in front of the invited guests and journalists. Using Intel's 4th Gen Core i5 and i7 processors, HP ZBook provides exceptional performance while having long lifespan operation on battery. The New HP ZBook Mobile Workstation is also equipped with Professional ISV Certified Graphics choices from Nvidia and AMD, the Quadro Mobile GPUs and FirePro Mobile GPUs. One benefit among so many, that customers may appreciate is, in general, new HP Zbook series have 30% less weight than HP's previous generation Mobile Workstation. On top of all, the HP ZBook 14 is the world's first UltraBook Workstation at 1.62kg in weight. 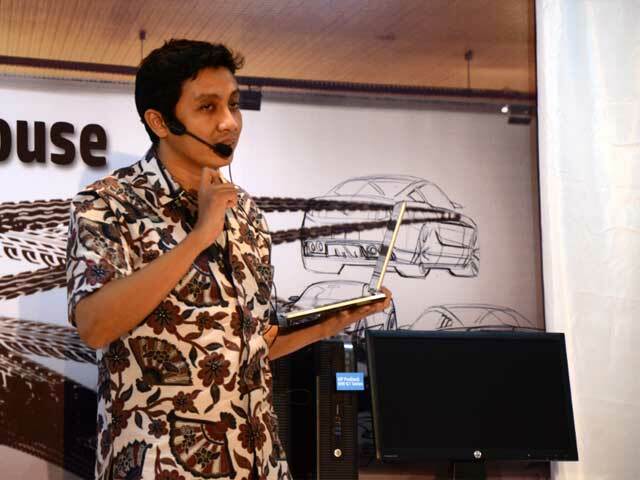 Bimo Adi Prakoso, the Director of Sentra Grafika Kompumedia PT, was honored to participate directly in the event showing the true performance of HP ZBook 15, in front of the audience, along with Hewlett Packard Indonesia Team. 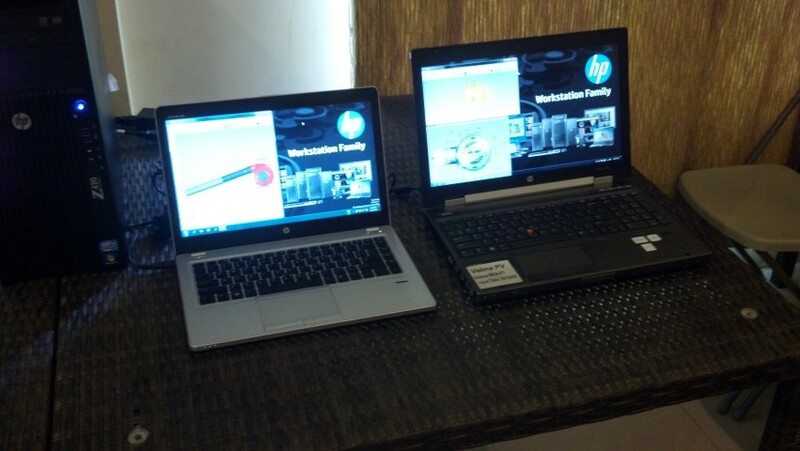 HP ZBook 15 was shown to perform some rendering tasks which were completed in seconds instead of minutes or hours. 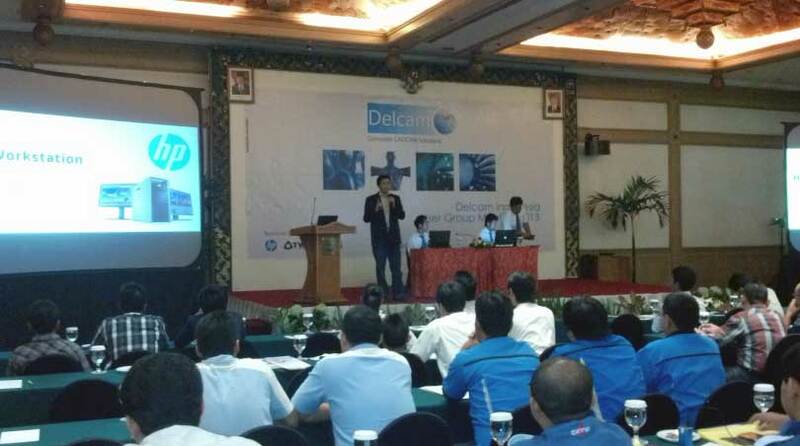 Jakarta, October 22, 2013 - Continuing to support ISV, HP showed keen participation in Delcam's Indonesia User Group meeting, held in Sahid Hotel. 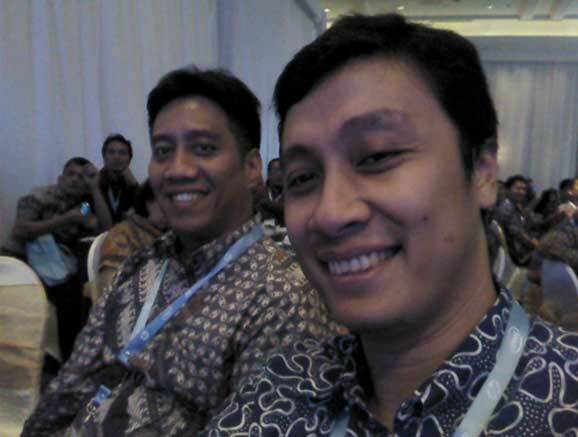 Sandy Moffat, Asia Business Development Manager at Delcam plc., and Bimo Adi Prakoso, Director at Sentra Grafika Kompumedia PT, were joining the event. 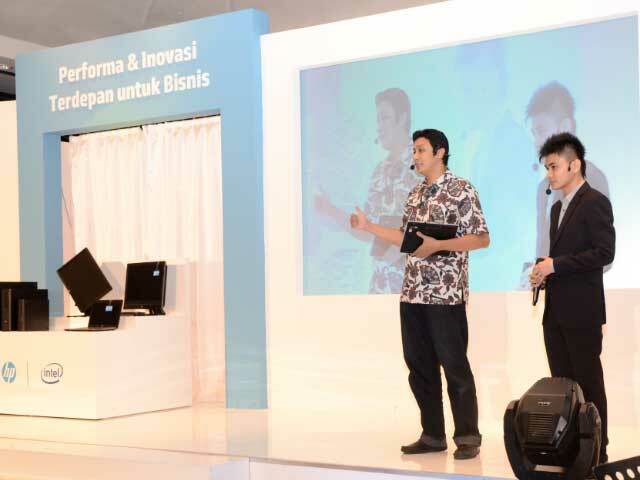 Sentra Grafika Kompumedia was chosen to represent HP in delivering the latest information about new HP ZBook, the latest HP Mobile Workstation series that also set the record of being the first Ultrabook Mobile Workstation in the world. HP continues to innovate and deliver new bar of performance level, never being seen in mobile form factor. 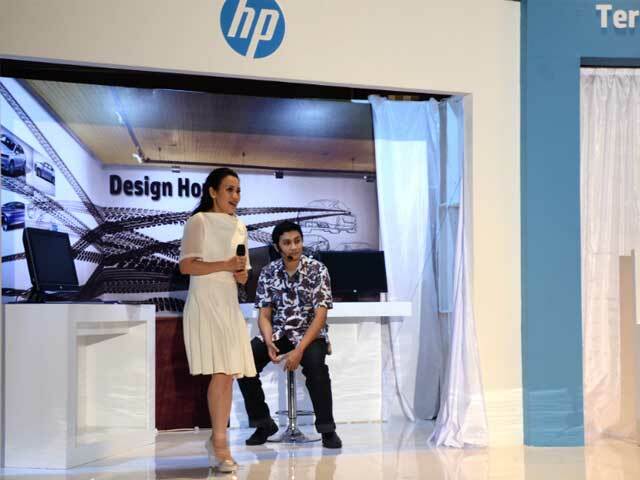 Jakarta, July 24, 2013 - Bimo Adi Prakoso, Director of Sentra Grafika Kompumedia, was in a great honor to participate in the HP New Business Product Launch Event, unleashing graphics power in combination between HP Business Products and Virtual Shape Research Realtime Rendering Technology. 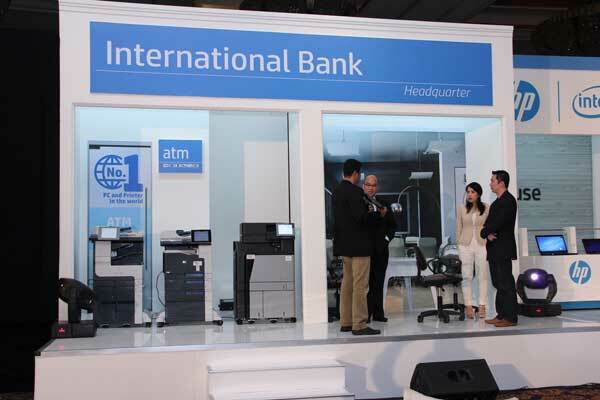 The event was harnessing the new HP Business Product Lines: HP ProOne 600G1, HP EliteOne 800, and the most anticipated convertible tablet: HP Elitebook Revolve 810. 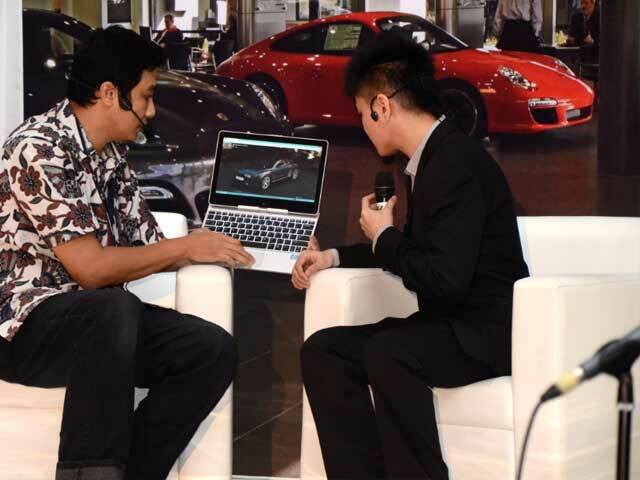 During the show, the HP Elitebook Revolve 810 was equipped with McNeels' Rhinoceros 3D v5 and Virtual Shape Research RTR (Realtime Rendering) add on for Rhino. Exceptional high quality real time rendering of a concept car design was produced and giving a ground breaking hit, by using an HP Elitebook Revolve 810. Some pictures belowe are telling the story about the event itself. 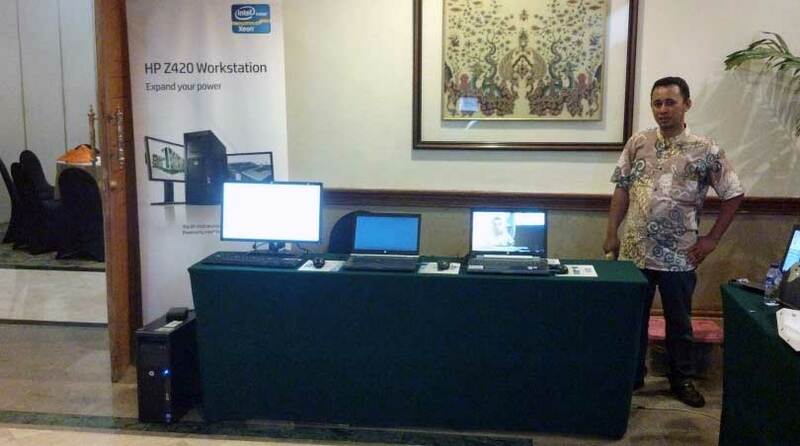 Jakarta, July 23, 2013 - Sentra Grafika Kompumedia is honored to present the VSR Realtime Rendering solution for Rhinoceros 5.0, at HP New Business Product Launch tomorrow, July 24th 2013. 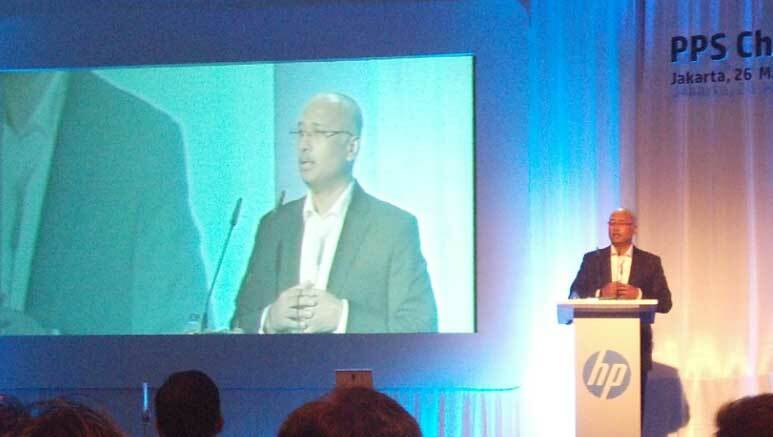 HP will unveil their new Business products in the launch event, in front of selected journalist and media companies. During the event, SGK will present a combination of HP New Business Products with Virtual Shape Research GmbH Realtime Rendering for Rhinoceros, an excellent solution for mobile designers and engineers who demand flexibility, speed and reliability of delivering their design in the speed of thought. More coverage will be posted after the event. Ronnenberg, July 01, 2013 – The CAD software developer Virtual Shape Research (www.virtualshape.com) has entered a new sales partnership for Indonesia and other Southeast Asian countries with Jakarta-based Sentra Grafika Kompumedia PT (SGK, www.sentragrafika.com). 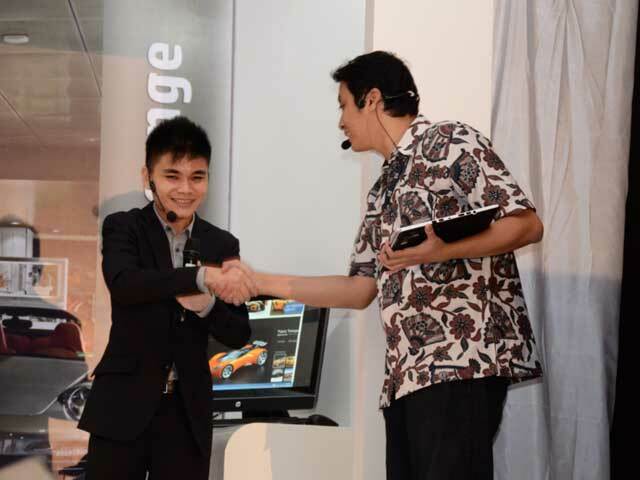 With this new partnership, Virtual Shape Research is further strengthening its position in Asia, in particular with regard to the automotive manufacturers and their suppliers based in this region, but also with Asian developers of consumer electronics and computer peripherals such as printers. 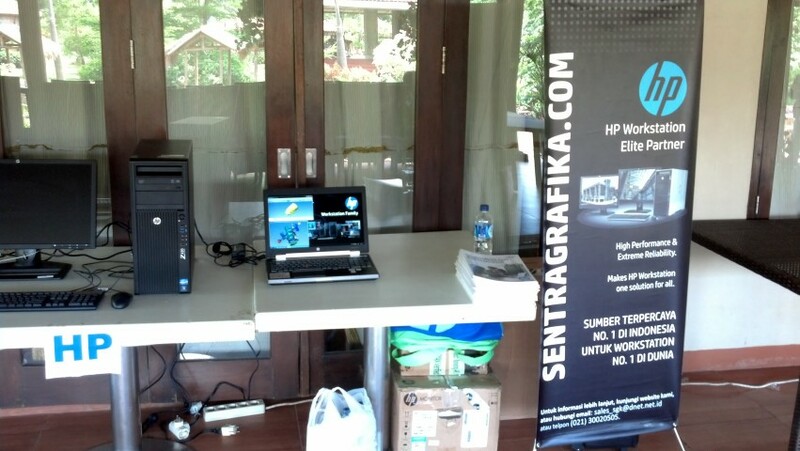 Notably, Sentra Grafika Kompumedia is an HP Premium Partner and one of the leading providers of workstations for professional users. PDF Format of the Press Release can be downloaded below. June 15, 2013. 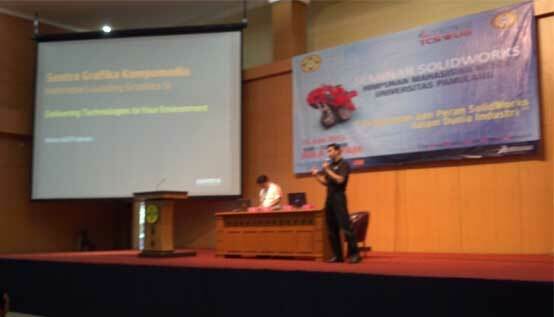 Sentra Grafika Kompumedia was invited to participate in a Tangerang City Solidworks User Group Seminar, at Universitas Pamulang, Tangerang - Indonesia. 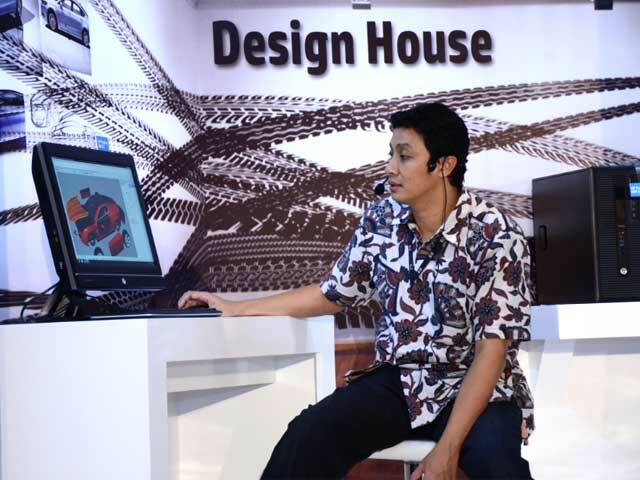 During the event, SGK showed a ground breaking real-time rendering of a design, and distribute the rendering in 3D instead of just plain 2D using web browser in HP 8760w Mobile Workstation and HP Z800 Workstation. The technology is made available by a technology leading German company, Virtual Shape Research GmbH (VSR). 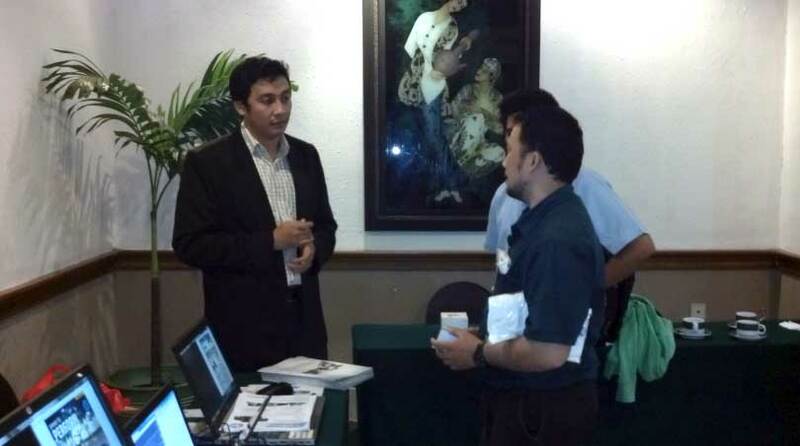 VSR has appointed SGK to represent them in Indonesia, to provide the technology to both commercial and education market. 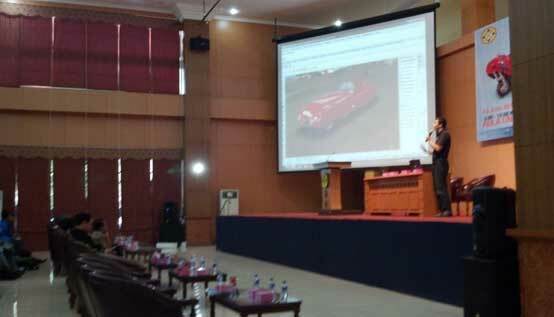 Universitas Pamulang was the first education institution in Indonesia which was honored to view the latest available technology from VSR. SGK will continue to deliver world-class leading solution to be affordable to any company size that will answer most of the challenges, that fit their budget. Thanks to McNeel and VSR. May, 17, 2013. SGK is now officially becoming IMSI Design and Virtual Shape Research trusted partner, to deliver even more affordable proven solutions along with Rhinoceros of McNeels & Associates. Customers who have been using expensive products to create, analyze and even render their design, will now have their biggest chance to start using affordable yet proven solutions from McNeels, IMSI Design and Virtual Shape to start experiencing huge budget savings, without compromising the quality or even the way they work. More information can be obtained from www.rhino3d.com, www.imsidesign.com and www.virtualshape.com. April 29, 2013. 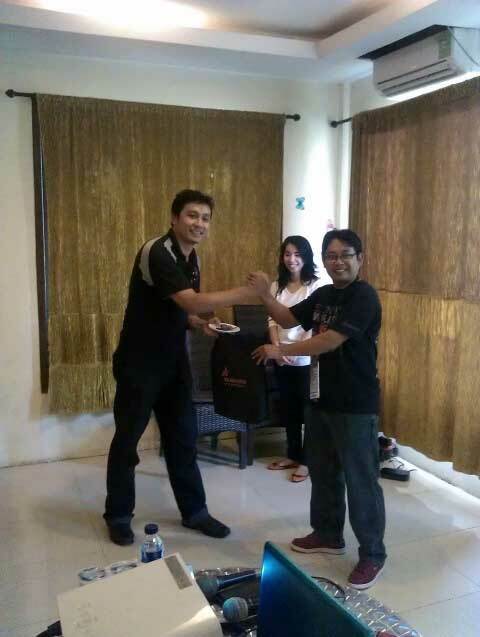 SGK has now officially appointed Bhakti Cipta Mandiri (BCM) as an exclusive channel partner for Kepulauan Riau province, in order to deliver McNeel's solution for engineering and design market. 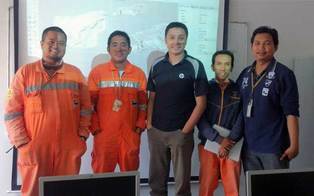 The start of this mutually beneficial business relationship is the deployment of Rhinoceros 5.0 multiseats in Saipem Indonesia, at Karimun Besar island in Kepulauan Riau province. 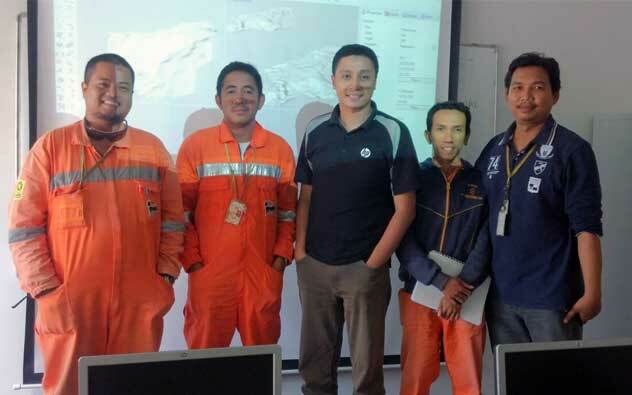 SGK successfully delivered the knowledge for Saipem Indonesia through intensive training at their facility to start using Rhinoceros 5.0 as part of their tools in pipe design and terrain analysis. 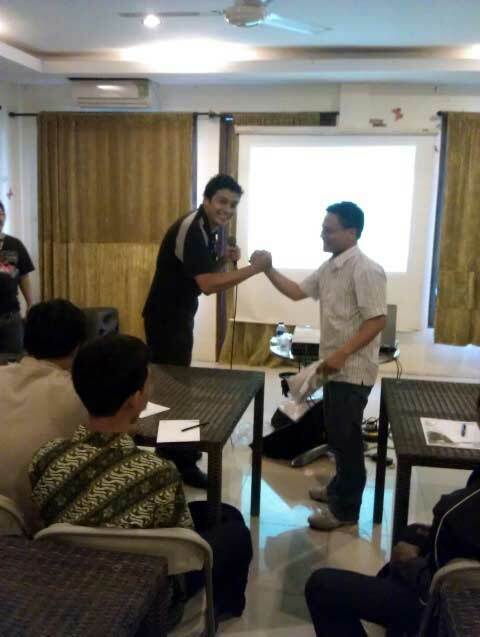 SGK and BCM will continue to collaborate together in providing affordable solution for customers without compromising productivity and efficiency for most customers in Kepulauan Riau region. 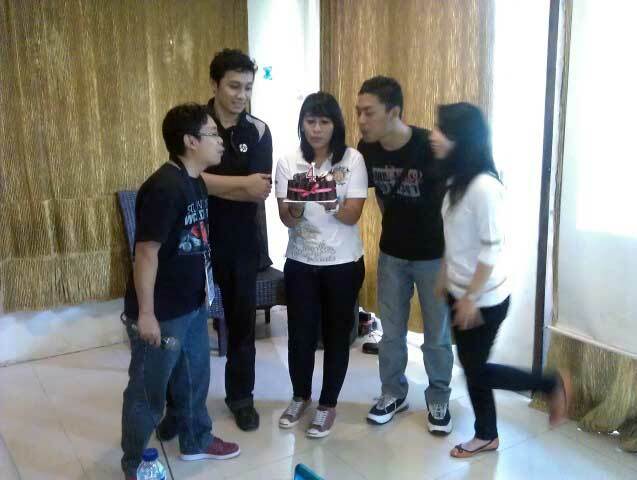 From left to right: Rico J., Ali A., Bimo (SGK), Adi K. and David W.
April 13, 2013. 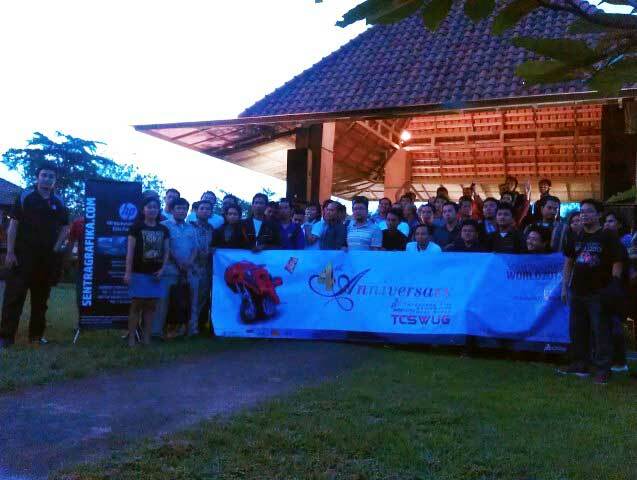 HP and SGK were invited to participate and celebrate Tangerang City Solidworks User Group 4th Anniversary in Kampung Aer, Serpong, Tangerang. 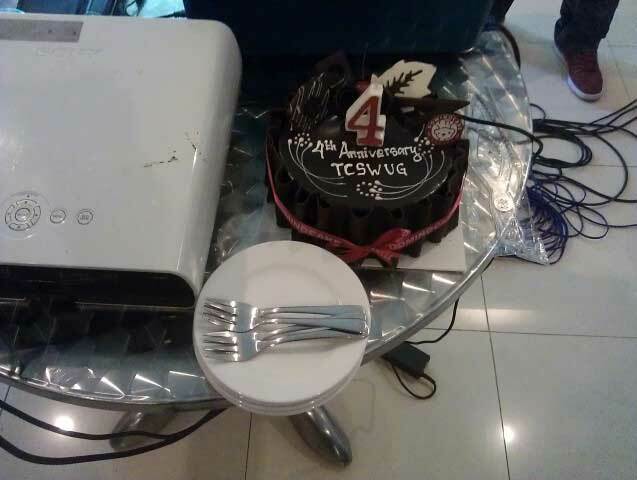 The celebration was full of fun and joy as SGK was honored to have the first anniversary cake slice and celebrate the event with TCSWUG, Arismadata and all TSCWUG members. 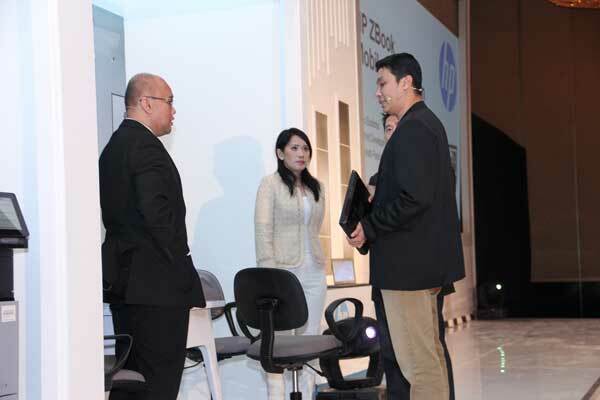 SGK showed the power of HP Z420 and 8570w with its HP Performance Advisor during the event. 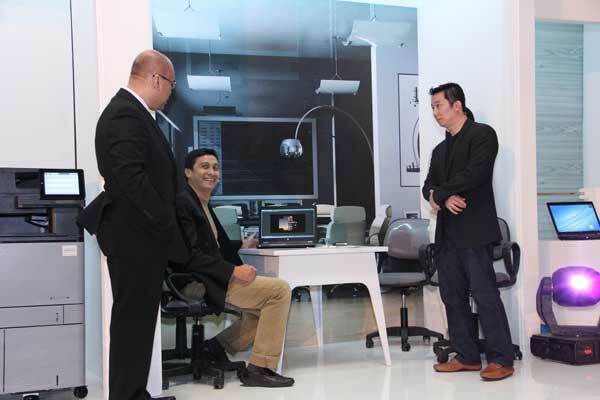 Participants also experience HP's new Business Ultrabook, the Elitebook Folio 9470m. SGK also introduced a breakthrough in ordering HP Workstation through SGK's website, in convenient way. Another new level integrated support was also released through SGK's website, which will take, process and assist customers in order to ensure them in using their HP Workstation without an issue. 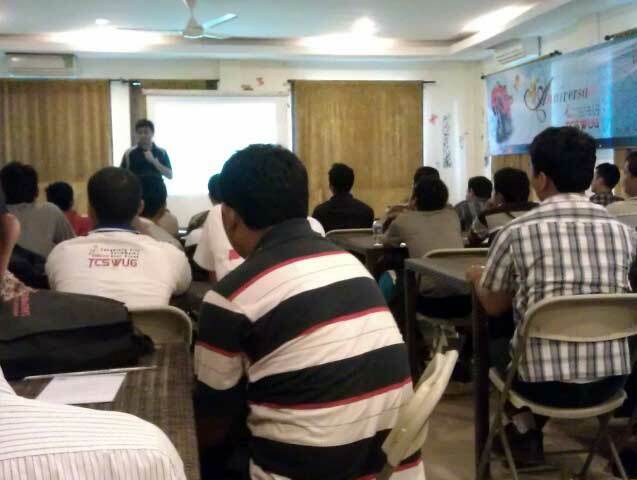 Here are some pictures for us to share the joy during the event. You may click the picture to enlarge. March 26, 2013. 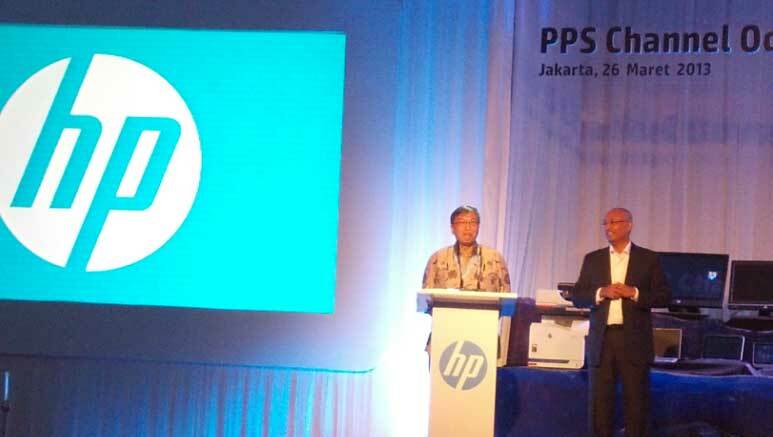 Hewlett Packard (HP) Indonesia invited their loyal channel partners to mark and celebrate HP commitment to the partners. 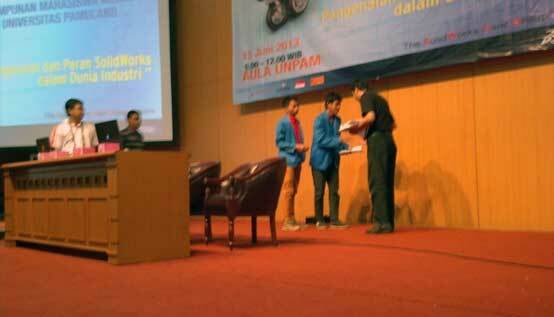 Sentra Grafika was also invited to join the event. 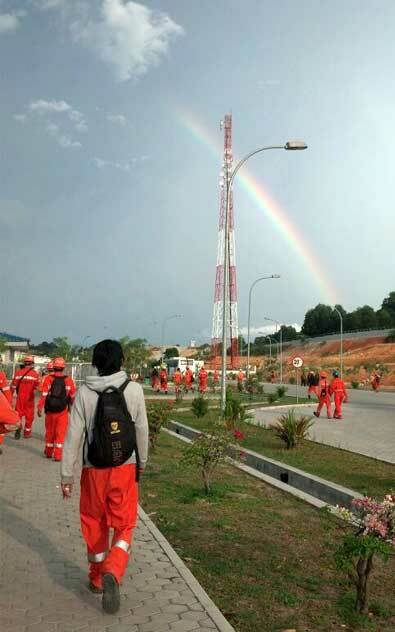 Drop box and pick up unit in 300 cities across Indonesia for repair. 0800-111-2-111 announcement for call center repair. Through this number, customer could register their case and have their HP notebook being picked up for repair and delivered back to their doorstep. 30 minutes repair in HP Walk-in Service Center for some products, and 3-7 days repair time for HP pick up & deliver service. Complete solution (not just partial products) to answer customers needs. Sometimes with lack of knowledge, customers choose the mismatch solution (let's say consumer for enterprise) and experience productivity barrier in their workflow. This time, HP has the answer to most market (consumer, business and professional, enterprise), with unique solution to each. 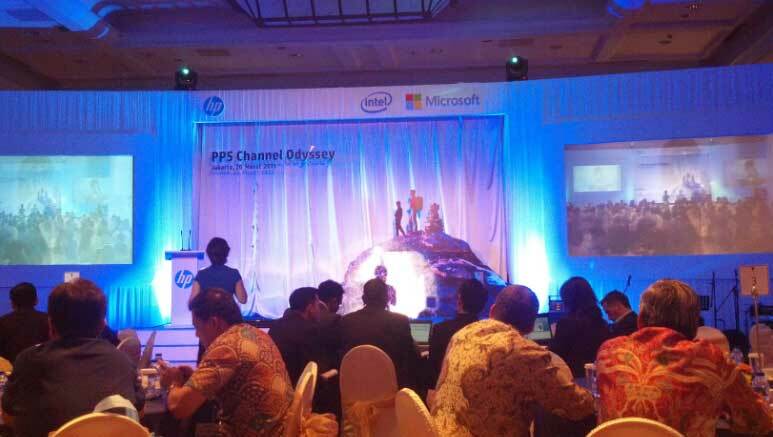 Some awards were given to some HP channel partners, and Avnet Datamation Solutions was awarded as HP Best IPG Distributor for Indonesia. Following are some pictures during the event so you may enjoy the moments as well. You may click on each picture to enlarge it. Mega Bazaar Computer 2013: See You There! March 5, 2013. 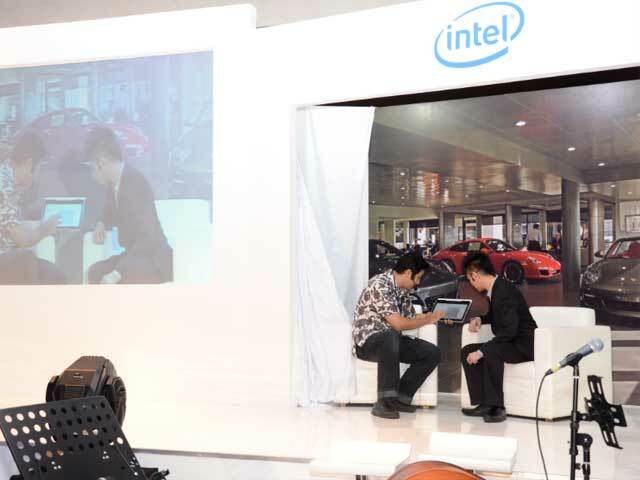 Hewlett Packard (HP) and Sentra Grafika Kompumedia (SGK) will participate in one of the largest computer exhibition series in Indonesia, The Mega Bazaar Computer 2013, March 6-10 2013. You can meet us at Booth # PA6, Hall A Main Entrance. We'll be showing the HP Z1 All-In-One Workstation, Hp Z420, and HP 8570w Mobile Workstation, collaborating with HP Large Format Printer. SGK will be featuring performance lead of HP Workstation running PROFESSIONAL YET FREE, BLENDER, a 3D Modeling and Animation Software. With latest version of 2.66, it support all hardware acceleration that HP Workstation has, to boost your creativity without a lag. 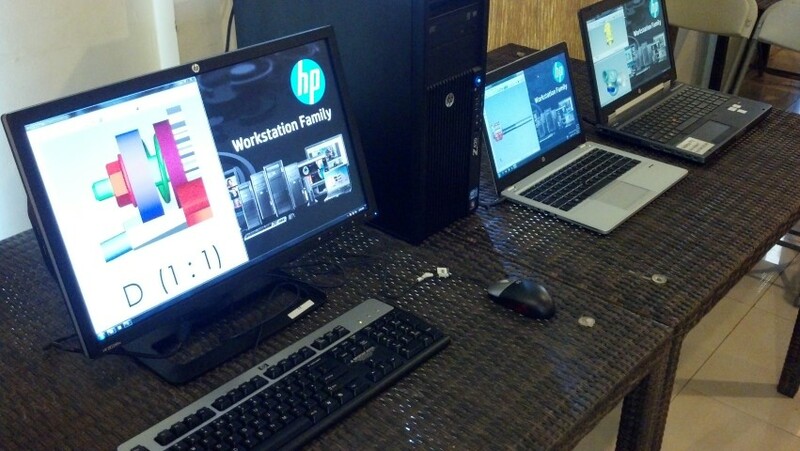 Get the HP Workstation Experience! Come and see us at the event!